Ever wonder how you make a Bloody Mary cocktail? 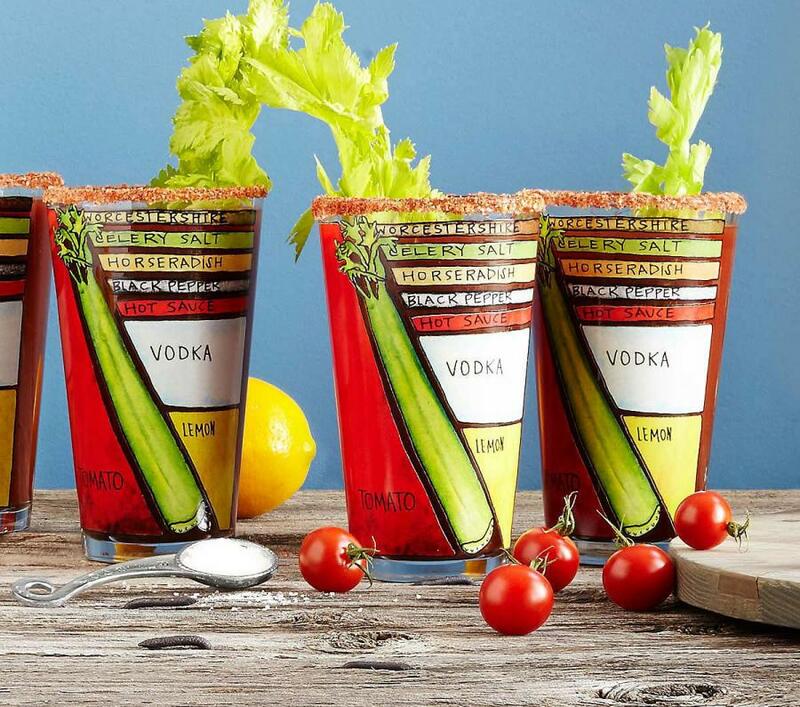 Well now you can find out while you drink one with these Bloody Mary ingredient diagram glasses. 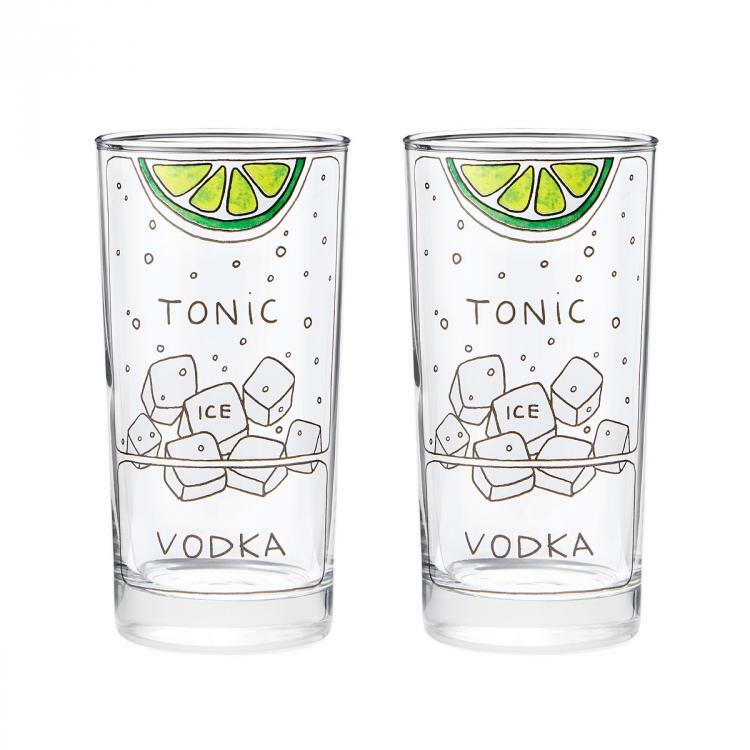 The glasses have all of the ingredients of a Bloody Mary along with the actual amount of each ingredient displayed on the side of the glass. 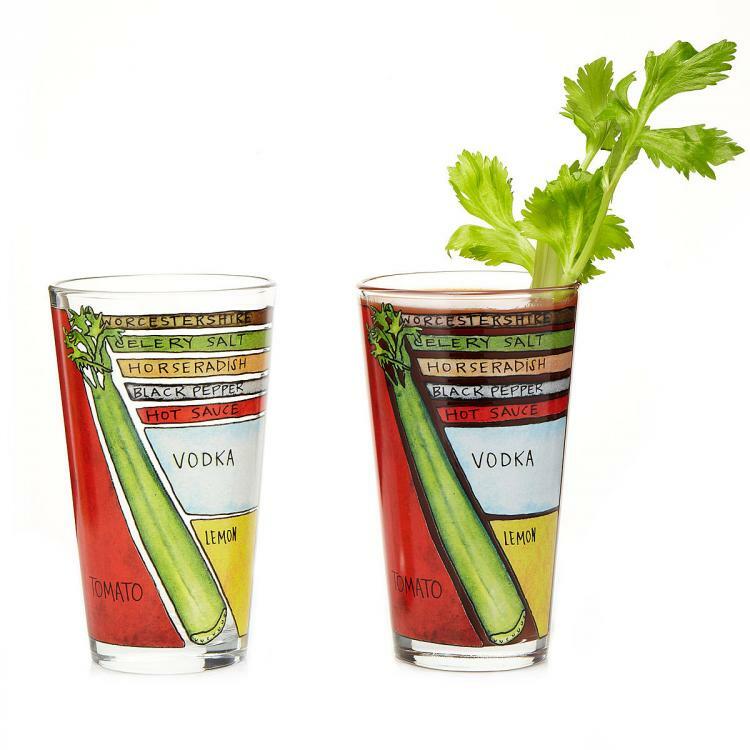 This way you can simply pour up to the marker on the glass for each ingredient to make the perfect Bloody every time. 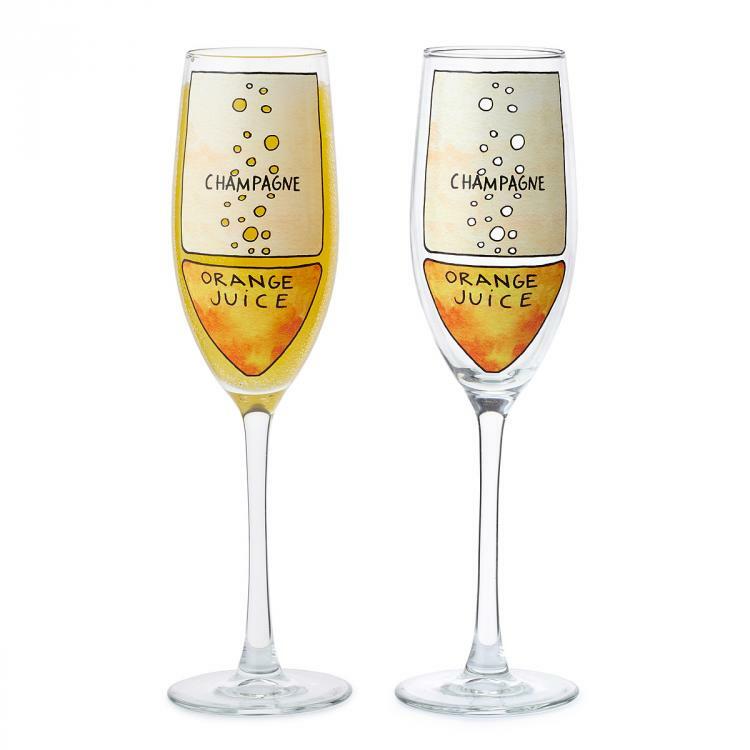 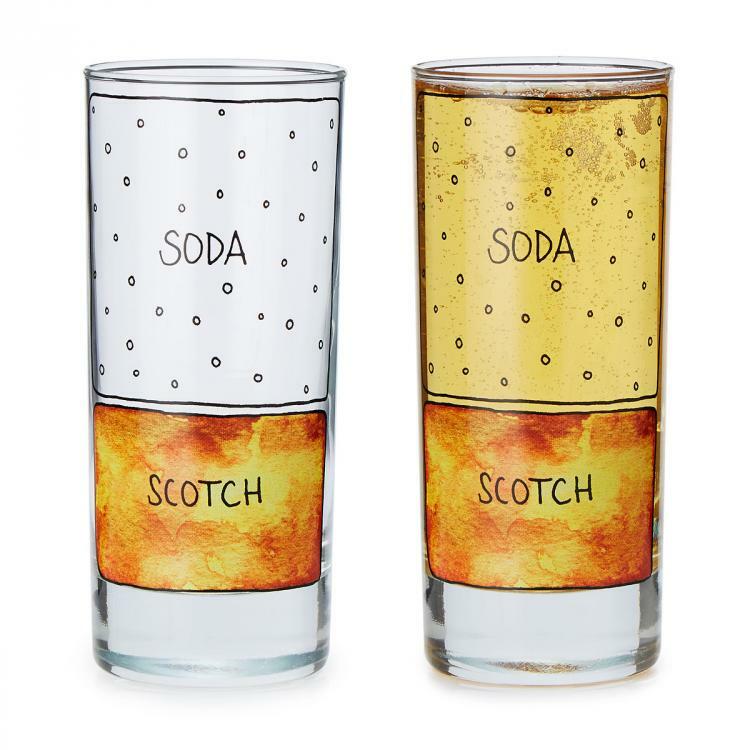 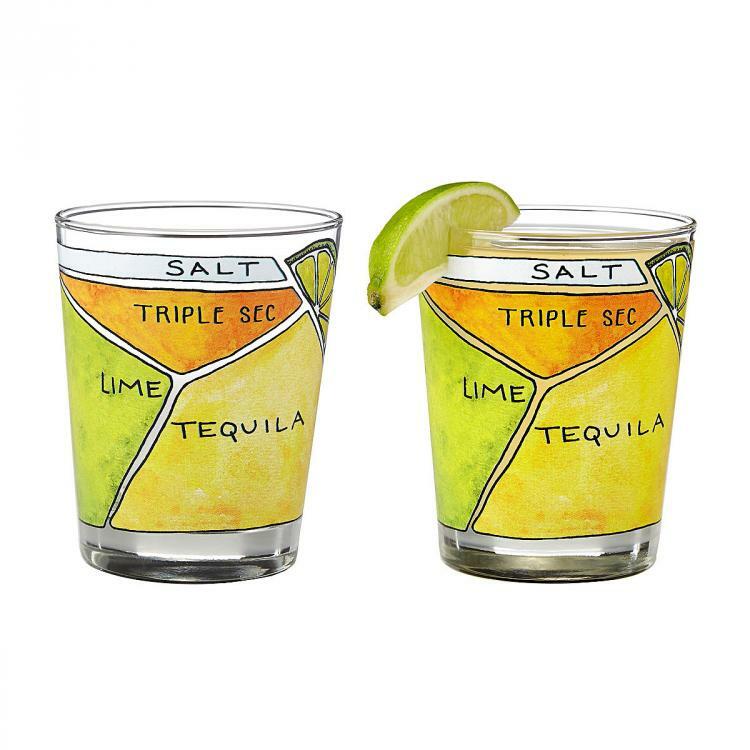 Designed by artist Alyson Thomas, the Bloody Mary diagram glasses are just one of her many cocktail glass designs, with others including Mimosa diagram glasses, Vodka Tonic diagram glasses, Scotch and Soda diagram glasses, Margarita diagram glasses, and more. 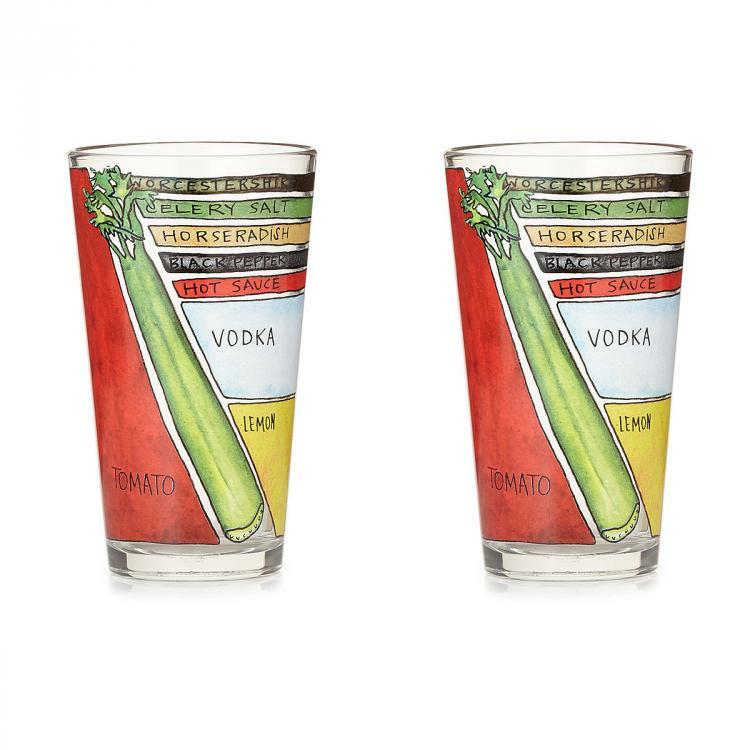 The Bloody Mary diagram glasses are made from glass, come in a set of 2 glasses, are sold exclusively by Uncommon Goods, are top-rack dishwasher safe, and each glass can hold up to 16 oz of liquid and measures 6 inches tall.